I am always looking for a good rice side dish to go with salmon. 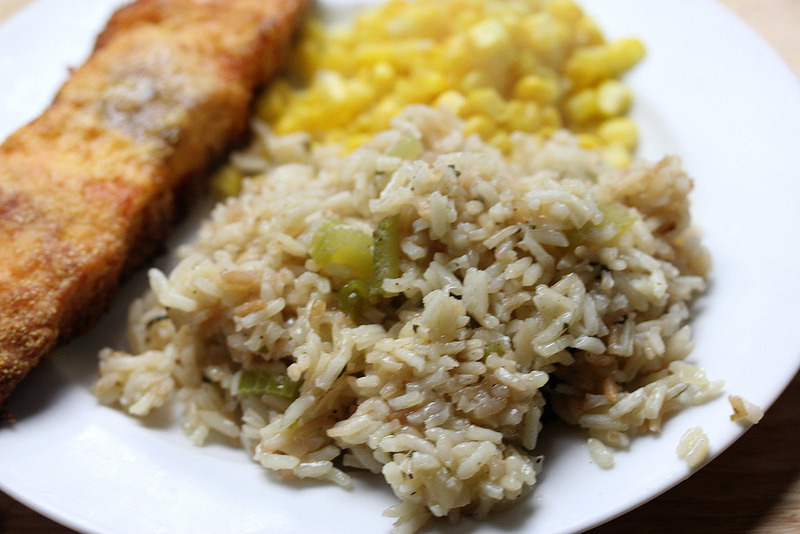 This Cajun Rice Pilaf recipe looked pretty good so I decided to give it a try. This is an easy recipe that requires very little prep time and compliments baked or broiled salmon very well. 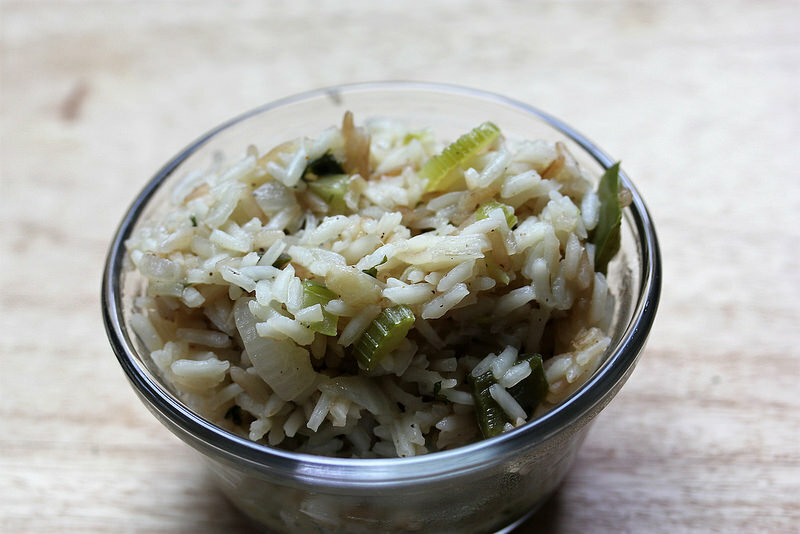 The next time you’re need a good side dish give this Cajun Rice Pilaf recipe a try; it’s really good. Melt the butter in a medium size sauce pan over medium heat, add the vegetables and cook for about 5 minutes. Add the rice and continue cooking until rice is lightly browned. Add the seasonings and mix in the chicken broth, cover, and simmer until rice is tender and most of the broth is absorbed.